I am putting together an article on the importance of technical writing exercises, the importance of which, has recently been reasserted to me. In the meantime, I wanted to put out a list of writing exercises instead of my weekly prompts list. This is one area, in which I’ve definitely fallen behind; honing my writing craft by practising writing exercises, and I want to fix this, starting today and this week. 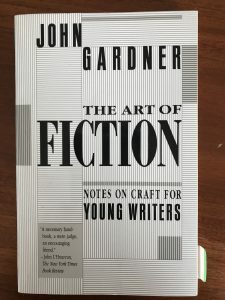 Take writing exercises seriously, and as John Gardner puts it “avoid the cheap, obvious, and corny” (from The Art of Fiction). Work for 10 – 15 minutes, at least, or whatever you have time for. But remember, to also make time for daily story writing. Describe a lake as seen by a young man who has just committed murder. Do not mention the murder (from The Art of Fiction, Gardner, Exercise 4b, page 203). Write five arresting opening sentences (from So You Want to Write, Joan Rosier-Jones, Exercise 19). Write a story from a child’s point of view (from So You Want to Write, Joan Rosier-Jones, Exercise 28). Observe someone you don’t know. Create a life for them (from So You Want to Write, Joan Rosier-Jones, Exercise 63). Find a photo online, in your photo library, or in a photo album. Pick the first one that strikes you. No matter who it is, describe how they are feeling, using all your and their senses. Write the opening paragraph for a serious gothic tale (from The Art of Fiction, Gardner, Exercise 2, page 197). Write a fabulous story using anything you need (from The Art of Fiction, Gardner, Exercise 30, page 206). I hope you found these writing exercises stimulating this week. Do you use exercises regularly? What are some of your favourites? Please leave your feedback below, and I will get back to you as soon as possible.